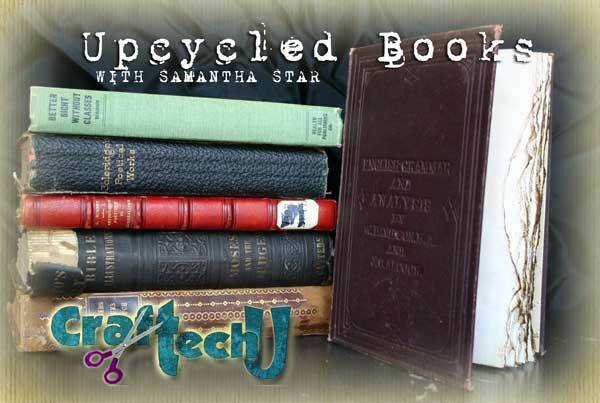 Still a few spots left for tonights ONLINE and Live interactive craft class featuring Samantha Star and her UPCYCLED book class. 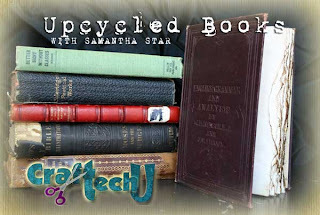 Learn how to recycle old books into an art journal using bookbinding techniques. Class is TONIGHT and Online beginning at 7pm. Can’t make it to class tonight? This class is recorded and will be available on demand. Take the bookbinding class on your schedule – anytime. Watch, stop, work, replay – your schedule and at your own pace. « Inspiration and Design – Where do you look?